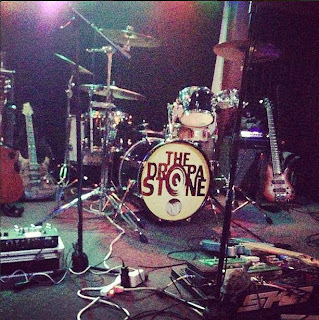 With rock-solid guitar skills, Jon Meyers from the Dropa Stone is no stranger to craft. His addition to this progressive rock band, well-known for their great groove and strong performances, completes an already powerful and skillful group. So we asked him, what's important to your craft? comes from an ancient Tibetan legend revolving around burial stones that are alleged to be extraterrestrial communication devices. Our music has always been our form of communication with the audience, so we felt it was a perfect fit! One of the things we have been proud of is that it is tough to put us in a musical box because each member comes from a completely different musical background, and it’s quite wonderful how it all comes together to create a new and unique sound. Our band philosophy has always been to progress and grow musically while branching out while being on the road and connecting with as many people as we can. The band pride's itself on making each show different from the last and improvisation plays a big role in that. We try to always mix the set up, but even if we do play some of the same songs, the improvisational aspect makes each song different. Another unique aspect is we enjoy paying homage to our favorite bands and musicians from the past and being the catalyst to pass it on to new generations. Just at the Dunedin Brewery alone, we did Led Zeppelin and Pink Floyd tribute sets last year and they were a blast! This Saturday, we will be dedicating the first set to mostly original material, while the second set will be an "Experience Hendrix" set, which we are doing for the first time. The crowds in Dunedin are always such a treat to play for and we are stoked for this one!